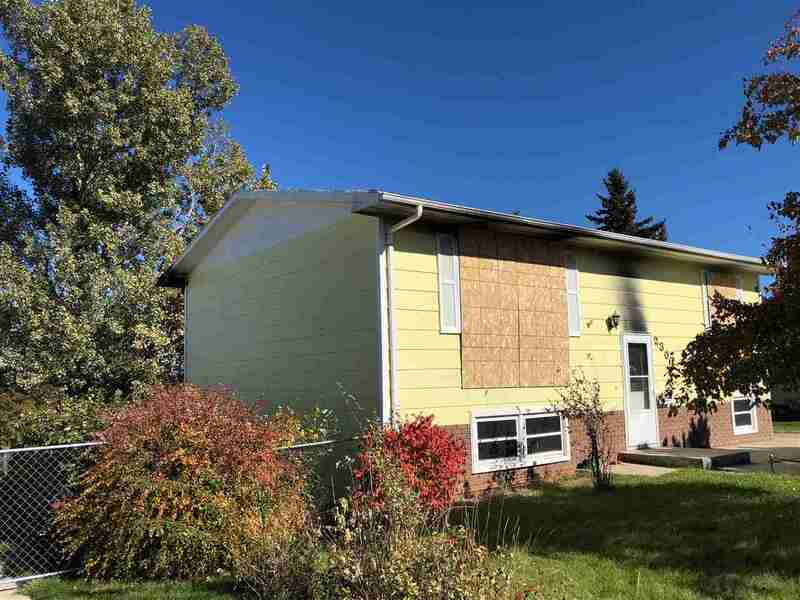 If you have been looking for the perfect opportunity to flip a home, this is it!! . Possibilities are endless as the home is the shell only. Great lot with a view of the hills and Bear Butte. Many improvements are there, including a fenced yard, fruit and berry trees, grape vines and perennial flowers, driveway, sidewalks, deck, all utilities are to the home. This home is plumbed for a bathroom up and down and has a walk out basement. Located near schools.